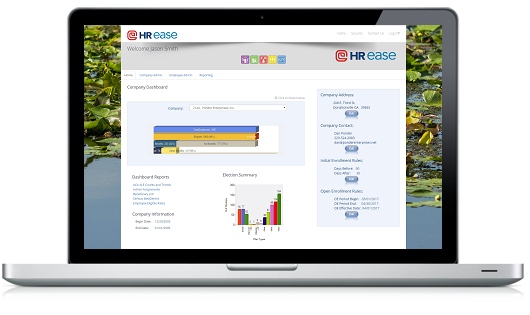 HR ease was designed from the ground up with Simplicity in mind. Employees and Administrators have significant power at their fingertips, all displayed in simple User Dashboards with obvious Workflow to enroll or change benefit information. 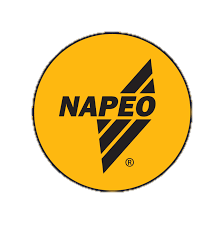 Employees log in through secure portal to access a personalized User Dashboard and navigate to enrollment options and information. 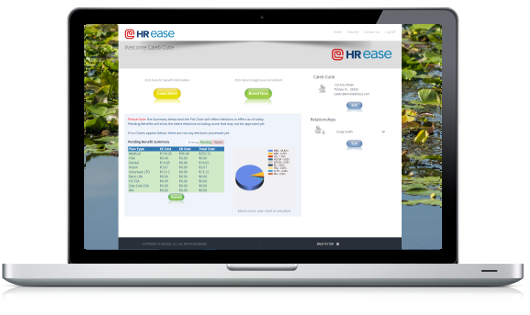 Easy to use system enables employees to update their core data, add Dependents or Beneficaries, Research about their benefits, view Plan and Rate Comparisons, enroll online, and confirm thier elections. Enrollers, Agents, and Client Administrators have one log in to access the Administrator Dashboard where they can manage all their clients and employees. Admintrators can add new employees, approve employee elections, manage client customizable messaging, benefit plans and have access to configurable reports. all of your complex business rules.